My approach is a threefold strategy of Assessment, treatment and self-care. 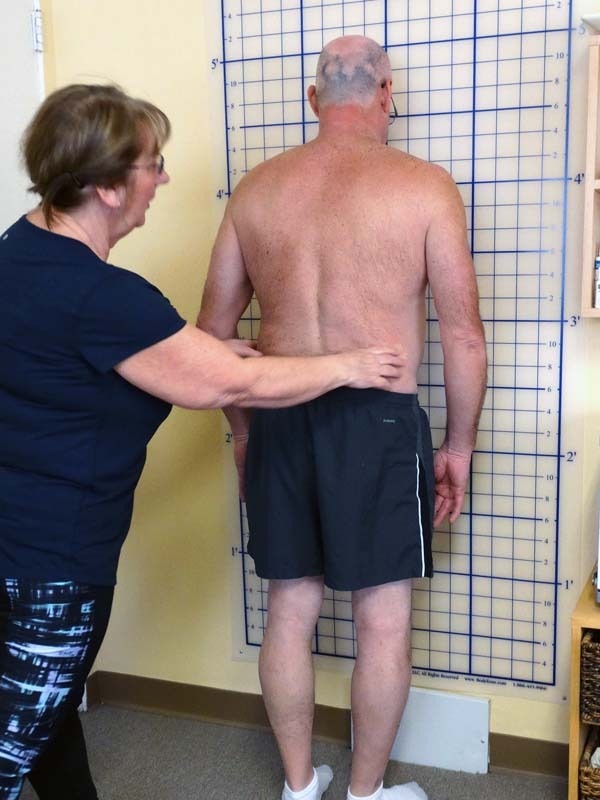 Careful assessment includes your medical history, posture and range of motion evaluation, special tests, etc to fully understand your problem areas and to develop the treatment plan that addresses them. It is always helpful if you bring any imaging reports for me to review. The treatment plan relies on assessment to determine which techniques will be effective for specific injury, surgery recovery or pain relief/management. I am always willing to explain to my clients which techniques and why are being utilized. Self-care is just as important as the first two because the simple at-home or work exercises I teach will extend the effects of the treatment, may help to reduce further injury and result in less medical interventions. Like other treatments (PT, Chiropractic, etc) bodywork is most effective with a series of treatments and client commitment to his/her healing. Cash, check, or credit card accepted. Please review No Fault for insurance qualifications. A receipt can be issued for reimbursement from Flex spending, other health savings accounts or your insurance company. Number of sessions varies according to each patient’s condition, commitment or HC Provider’s recommendations. You may want to view my Business Facebook site on the home page. 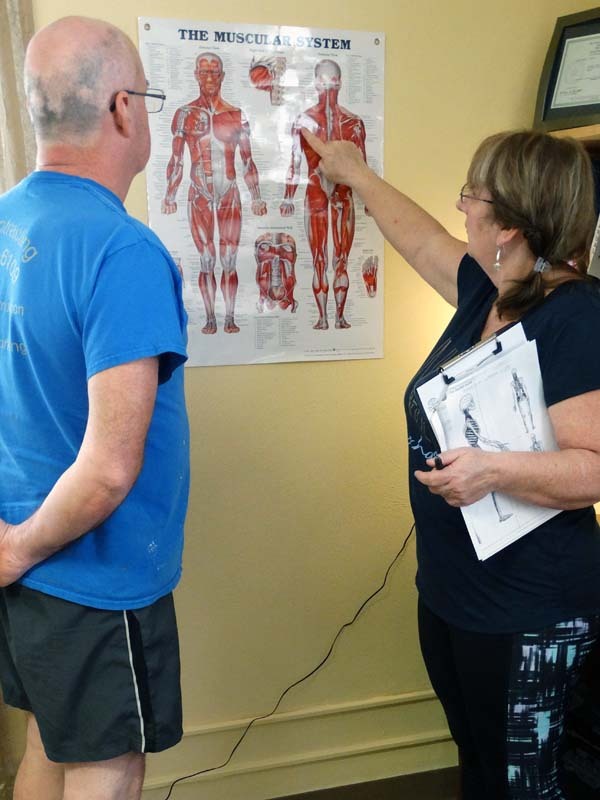 There are many articles and videos of Fascial work. I usually start with fascia to find and reduce “straight jacket”- like restrictions. This makes any other techniques I use more effective. Fill out and print forms (required by all healthcare providers) found on this site under ‘client forms’, disregard the insurance info. Please be as comprehensive as possible, as all incidents of injury /insults are “remembered” within the fascial system. Please include any imaging reports of the area in question. Fascial work requires skin to be free of soaps and lotions at the time of treatment. Clothing: Men can wear loose fitting shorts; Women can wear loose fitting shorts, a sports bra or a 2-piece swimsuit. Additional covering will be provided as needed for your comfort. You and your therapists will go through your forms and reports, together, for clarification and questions. Plan for 1-1.5 hour for your visit. 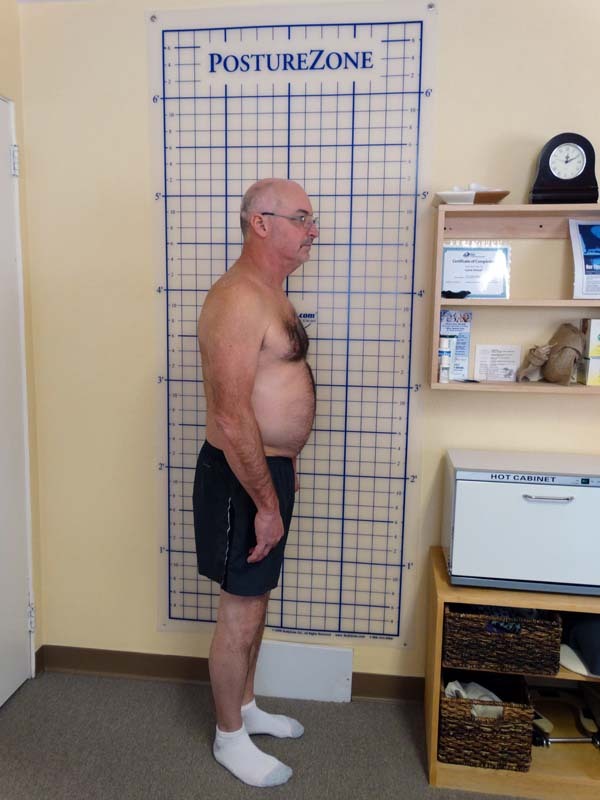 Posture analysis may be done and depending on your particular condition, range of motion, muscle testing other special tests to determine the right treatment for you. All treatments and tests are non-invasive and although sensation intensity can be great my techniques are pain free. You should be comfortable during your session and some people fall asleep. However, feedback is important for many of my techniques and I teach you how to do that. You may always ask what or why I’m using a particular technique. In fact, I encourage my clients to know as much as they are able. You may always stop a session at anytime. Self-care and treatment plan are addressed. It is important for you to learn how to extend the benefits of your treatment and/or avoid further tissue insult or injury. The fascial system continues to re-adjust even after your session. Some patients experience some discomfort later, described as “deep bone ache” because the fascial web is being affected on a cellular level. This will subside. Over-use or chronic conditions: tendinosis, carpal tunnel syndrome, TMJ dysfunction, lower back or neck pain, etc. *Acute injuries or recent surgery will require Health Care Providers release for bodywork therapies/massage. Fascia is the body’s connective tissue, which weaves throughout the entire body forming a web-like structure. One of it’s many functions is to allow the other tissues to move smoothly. Trauma and inflammatory response create binding restrictions of this system that can produce crushing tensile pressures that act like a “straitjacket” causing compression or entrapment of muscles, nerves, blood vessels and bones. This can translate throughout the fascial ‘web’ eventually affecting other parts of the body. These restrictions can cause Ischemia (a lack of blood supply to soft tissues, which causes hypersensitivity to the touch and allows for further injury to the tissues), can contribute to muscle atrophy referred pain, paresthesia and restrict motion and cannot be detected by our standard imaging tests. 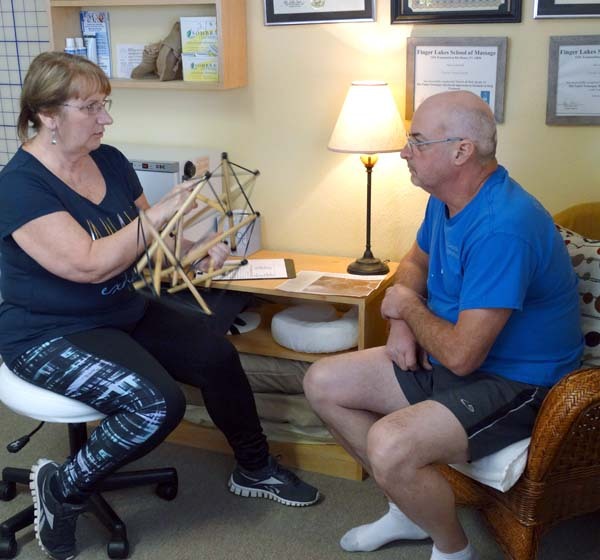 the therapist is trained to discern restrictions throughout the body and gentle sustained pressure is used to effectively release fascial restrictions. ‘Unwinding’ is often experienced by the client during fascial release. This work envelops an array of techniques and patient assessment determines the specific technique to be used. Ortho techniques also strive to restore muscle balance, which reduces the forces applied to the joint capsule and diminishes the potential for joint and disc degeneration. Treatment may combine techniques such as AIS(assisted isolated stretching), reciprocal inhibition, ROM , active engagement, multi-directional/cross friction, eccentric contraction, Trigger point therapy or other therapies. 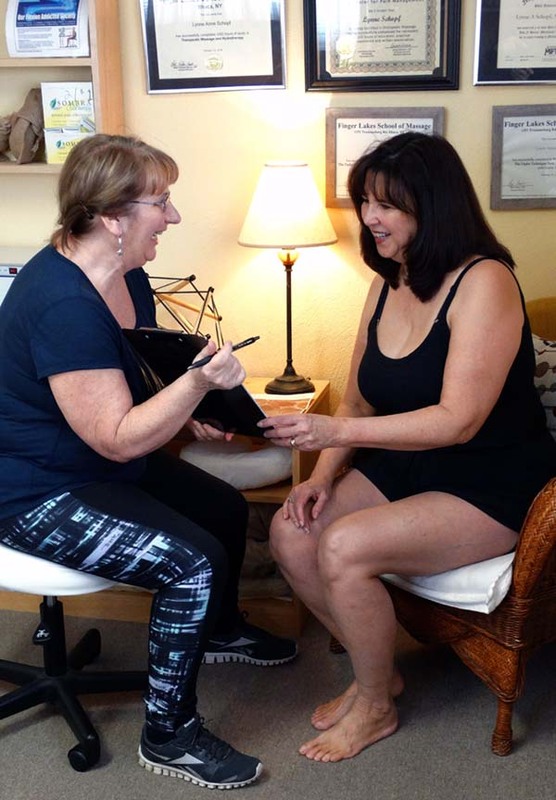 The therapist is certified in specialized techniques to treat the patient and condition. Advanced massage techniques are often utilized to enhance or assist other treatments. Hot/cold hydrotherapy, topical analgesic, essential oils may also be used in conjunction with massage. If you have sustained an injury due to an auto accident, your insurance will cover the cost of massage treatments if prescribed by a referring provider. For your convenience, I have included all the forms you need to collect information under “client forms” on this website. Please read the following information carefully to help guide you through the process and if you or your referring provider have further questions or concerns you may call, text or email me. Your first appointment will consist of Intake, assessment and treatment so please allow 1-2hrs. You may wear a sports bra (women) and loose fitting shorts (men/women) for your sessions. Appropriate covering will also be provided for your comfort. You will receive a receipt to turn into your insurance provider for reimbursement for the first session once I receive all your information listed below. (In my experience, for serious or chronic conditions, treatments 3x/wk results in the best outcome. Ins only allows 45min sessions and my intention is to get you to a point when you will need fewer sessions because of healing and self -care techniques. Insurance provider info: Ins Co name, address, claim #, Claim adjuster's name tel# and ext#. I know the "No Fault" process can seem overwhelming at first but well worth the trouble. Orthopedic /MFR bodywork and massage is the least invasive, most enjoyable and an effective medical intervention.